A beautiful short par 3. 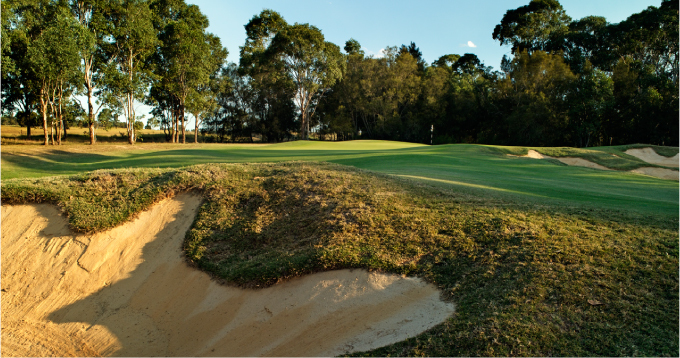 Many players will be deceived by the bunkers across the front and will play one club short. 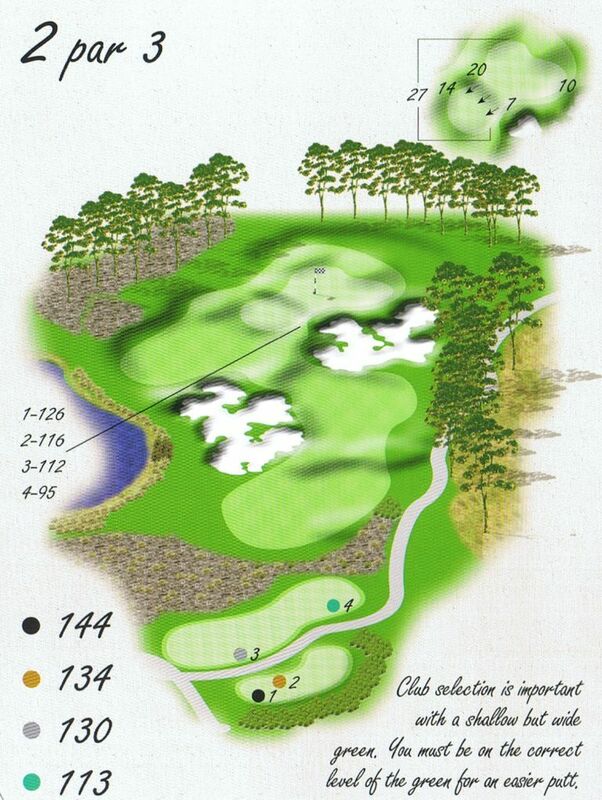 The green is divided into two sections by a strong ridge running parallel to the line of play through the centre of the green. A tee shot to the wrong side of the green is definitely three putt territory.